Lie #1: The pipeline will create 20,000 or more jobs. The truth: The U.S. State Department estimates it will only create 6,000 jobs and those jobs will only exist during the construction phase. Lie #2: The construction of the pipeline will be in accordance with the highest standards of the industry. 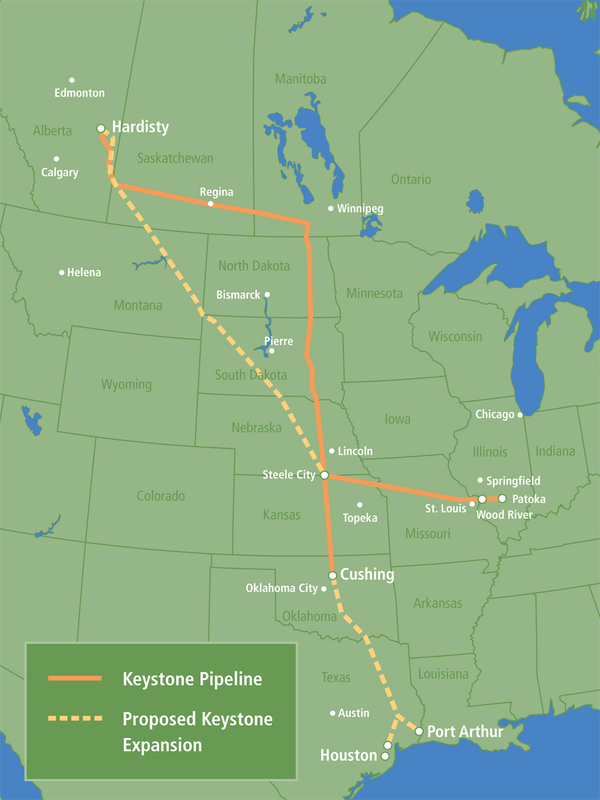 Keystone will not pose any danger to the environment or the communities that it will pass through. The truth: Mike Klink, a whistle-blower inspector on the Keystone XL phase of the pipeline, dares to differ. Klink knows first hand of what he speaks. As an inspector who was responsible for monitoring the pipeline’s construction, Klink has already witnessed more than a dozen spills at pumping stations that were covered up and not reported. Why did Klink come forward knowing that telling the truth would cost him his job? After sharing what he had seen with his family, his own kids who love and believe in him, didn’t want their Dad to be part of a sinister corporate cover-up. Sounds like Mike passed along some important “family values” to his children. Klink thinks that the public has a right to know that this mega, continental construction project is utilizing cheap, foreign steel that cracked immediately when workers tried to weld pieces together. Mike is quite sure that most American and Canadian construction companies would never consider such substandard steel in building private and commercial properties. Bechtel officials explained away the leaks that Klink brought to the publics attention as “not too bad,” though many of these leaks already have and will undoubtedly occur again, in environmentally sensitive wetlands. Besides the dozen plus leaks he witnessed, Klink was not at all surprised to learn about a 60-foot plume of crude that spewed tens of thousands of gallons of toxic tar into the farming fields of Ludden, N.D. (see video below) Considering the kind steel being used in the pipeline, that kind of leak is going to happen many, many more times again. According TransCanada, pipeline performance has actually been OK.: “Fourteen spills are not really so bad. And that the pump stations where the leaks occurred don’t really count.” But Mike wants you to know: “That is all bunk. This thing shouldn’t be leaking like a sieve in its first year — what do you think happens decades from now after moving billions of barrels of the most corrosive oil on the planet? One can’t help but wonder how all those politicians and patriotic Americans who gleefully respond to environmental concerns about the oil industry with, “drill-baby-drill,” would feel about having the Keystone Pipeline pass through their backyard or near their kid’s school knowing that it was built with substandard steel? Klink’s suggestion that if Keystone were a car, it would be considered a lemon, should be enough to motivate thinking, reasonable people to put the brakes on this latest example of corporate malice that the 1% and Republicans are so championing with such passion. Just as British Petroleum wanted the world to believe in the early days of the Gulf Oil Disaster that the situation was not dire and they would “shortly” have things under control, after the May 7th Keystone Pipeline spill in Ludden, ND, TransCanada assured the residents that they had efficiently cleaned up all the oil. For the record, before the pipeline was built, TransCanada representative assured the people of Ludden that the high quality of construction materials and building standards made the likelihood of a spill, “impossible.” The above video was filmed after the supposed cleanup.